In stock 103 items in stock. 1) Site offline? Can't compile. 2) No net access? Can't compile. 3) Want to keep source code private? Can't compile. This is not the way to do things. Other microcontroller boards have local compilation environments, so why not this one? I wouldn't touch the mbed if a squadron of gorgeous dancing girls brought crates of them to my door for free. The online IDE honestly makes the programmer in me curl into a ball and rock back and forth, sobbing and blubbering uncontrollably. For example, say I build a 200 pound rover off the mbed. It rolls down my driveway and into the woods. Then an easily solvable programming bug shuts down the motors. No problem, I say! I whip open my laptop, jack in and..... Crap. Unless aforementioned dancing girls brought super-awesome-mega-anywhere wi-fi with them, I have 200 pounds of scrap metal sitting in the middle of the forest. And no, by the way, I'm not in the mood to pay AT&T another $30 a month to get mobile internet on my laptop just so I can work on my [censored] robot when and where I please. Relax, I set up an offline tool chain with Eclipse and the Code Sourcery GCC tools in about an hour. The online IDE has a nice export capability. Once your tool chain is set up, all you have to do is make a "hello world" app, export it, and you have an app template complete with mbed libraries and makefile all set to import into Eclipse. Works like a charm. Then just add your own code and off you go. The only thing you're missing is the source code for the mbed libraries. All the code sources will be there. Good to know! A "squadron of gorgeous dancing girls" would distract me from even the sweetest development platform too. I would be touching, but not the Mbed! I agree with your point though, I have my own server for >my< own stuff for a reason, I want it here on my own net. Not relying on www, although I wouldn't get far on any project if I couldn't hit wikipedia or Ubuntu or Atmel or Sparkfun or Sourceforge or ... oh my I'd be lost without it any ways. I'm still keeping my code and compilers/assemblers at home! I like the online compiler. I get sick of fiddling with tool chain issues. I guess I'm used to remote server development already from work. These little things are awesome. You can do so much with them. The online compiler has never been an issue since internet access is very common. If anything, the online compiler is a huge convenience. You don't spend hours installing and upgrading tool chains and you can be up and running with a pretty complex application in the same time it would take to install those tool chains. However, for those that absolutely need an offline compiler, mbed.org does a fairly good job of getting you up and running with both free and paid tool chains that will work with the mbed. I purchase my first mbed about 6 months ago to test out and now I have over 10 of them. It has quickly become by favorite microcontroller. One issue I have with them is that they "brick" fairly easily. Much more so than any other microcontroller I have used so you have to be careful with them. Stay within their operating range and they work amazingly well. In my opinion, they are worth every penny. Who doesn't have internet now? I mean if you travel a lot maybe I could see an issue, but there is WiFi and cell connections everywhere. It's actually a nice board. Built in ethernet, and the size is really nice. And the size is good too. Wanted to point out that all your code is private on mbed, unless you have explicitly shared it. As far as I know, you can compile offline with CodeSourcery, NXP driver library, CMSIS. Web-compiler is just ready to use and test environment, which speeds up development and deployment of your code. However you're free to make one on your own. I'm not familiar with this product, so you're saying that no Internet connection and I cannot use it? "The connection has timed out"
If I had one I couldn't use it right now :( Much prefer my arduino, not as powerful but I choose where I want to play with it, not the company making it. Well they are majorly different. I can see where they could be intimidating to some too. It is a very technically advanced device, I can see where it could scare some people away from it. My advise for you and others still getting their feet wet would be to keep using the Arduino, and build more advanced types of sketches, try using many Arduino's to work together to complete a task using 1@c and serial comm.Then give these a try, to jump straight into one of these things in not for the light hearted , it would require some discipline in learning or advanced knowledge. Hi Kam, I had the same question when I bought it. And you CAN use without the internet. Well, you can't use the Online compiler, BUT you can use offline IDE, like Xpresso. All you need to do is create an simple project (like blink led) at the online compiler, export to the desired IDE and then, use that IDE. It will export the entire mbed library, so the classes available online will be available offline too. Righ now I'm using the SDK kit (with all source codes) in a offline project. It is quite easy to set up an offline compiler for the LPC1768. There are several manuals for that on the internet. And as long as you can generate a .bin file, it is just a matter of dragging and dropping that into the mbed usb-drive and resetting the device by the hardware switch or by a cntrl-brk sent from a serial terminal. Only downside of offline compiling is that you don't have full access to the embed libraries. You can find the .h and .o files in their svn, so maybe someone can make even that work. Wonder how difficult it would be to get the xduino environment to work with this board. That should provide an arduino like environment offline. The ease of working with this device --no need for any additional interface to program it, and a programming environment which has been made as simple as the arduino environment-- for me makes this an excellent choice for learning to work with these processors, but also for quite advanced projects, recognizing though that not all processor pins have been brought out to the header rows. This looks like a very capable platform. Probably the best choice to step up to from Arduino. Seems quite possible, although I imagine you lose their libraries unless you also link in them. The libraries are cost and royalty-free (as I understand) so they could be useful. I've been using this for a little while. The online compiler works well for prototyping and hacking. As the target is just an LPC1768, any toolchain that can target that micro, can target mbed. That said, I've not found the need/motivation to use an offline compiler yet. Can you not use a normal C/C++ compiler, like Code Blocks or something? I have been using one of these for a few months. This is really easy to use and has a great selection of projects that you just load and go. The online compiler (mbed.org) is not so great but functional. I am running 4 serial devices and a parallel LCD display in my home built in-car vehicle dynamics logger. I have one of these and it's really well thought out. You can literally get going in a couple of minutes. Their library support is quite extensive and the growing user community has added lots of breadboard circuits and code to use as examples. It's essentially a clever marketing tool by NXP. One caveat, however, there is no debugging with this setup, other than printing things to a terminal emulator. 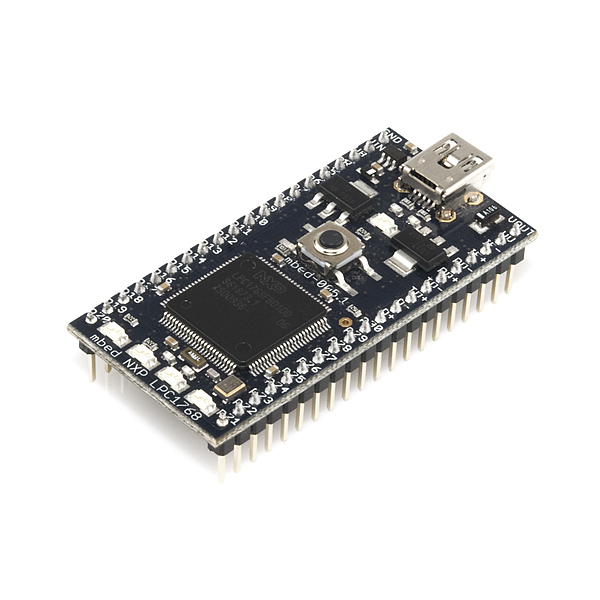 Sparkfun, have you looked into the LPCXpresso dev boards by NXP? One of the senior engineers at my company gave me one to help me learn ARM programming. There are ARM M0 and M3 versions. 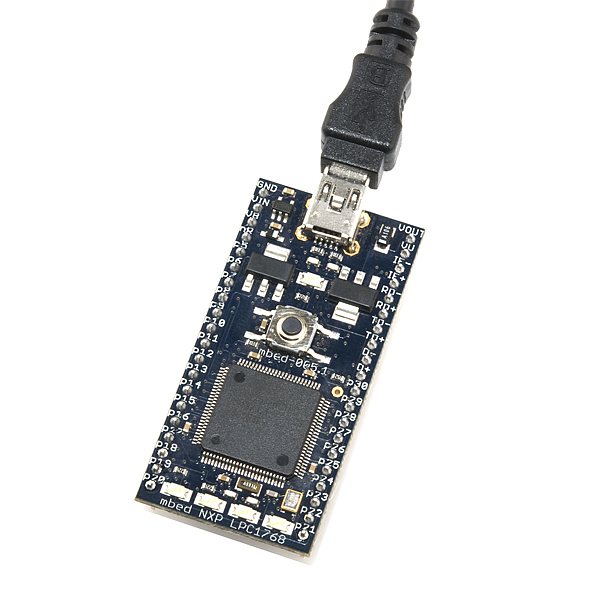 Each board comes with a removable JTAG debugger which can be used with many of NXP's ARM chips. Cost is about $30 from many vendors. IDE is based on Eclipse and comes with an awesome set of sample projects, code libraries, and getting started guide. 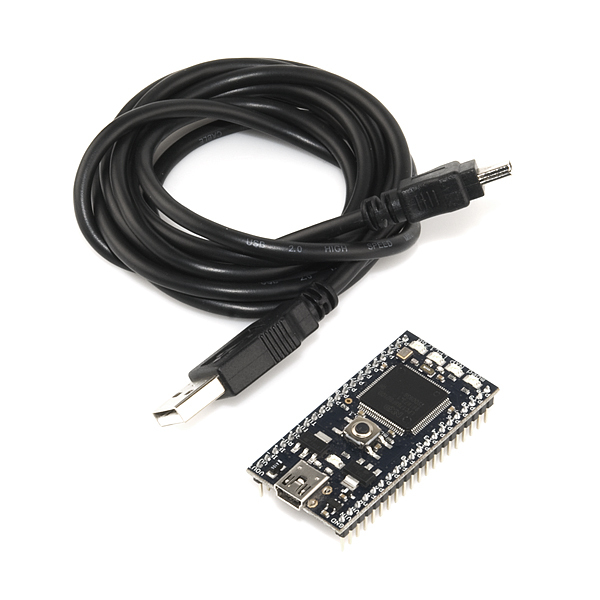 Code libraries include demos of all peripherals, software UART, and freeRTOS. Breadboard compatible, or there are expansion boards available. Don't you have to pay a $1000 or so for the full (non-demo code size unlimited) version of the software for that board? There is a free registration process that gives you a code download limit of 128KB of data. Only one of the LPCxpresso boards has more codespace than that. 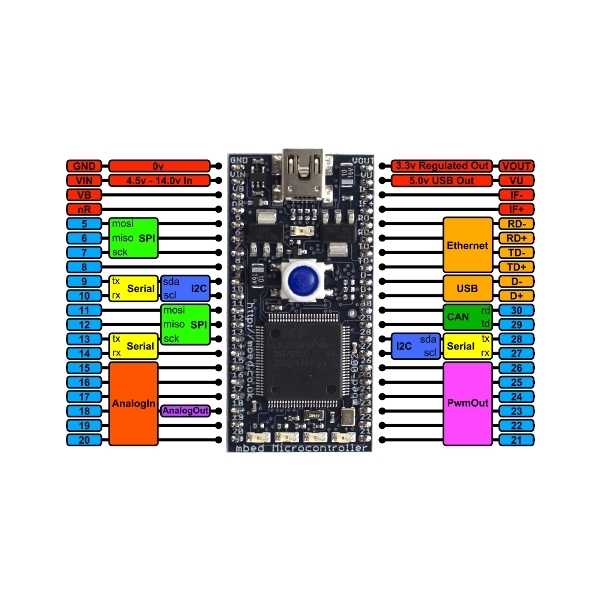 The Embedded Artists page lists the available boards and their codespace. It also mentions a discount on the full IDE and related products. That said, I'm sure there are people who will need more code space. For them, perhaps an MBED is a better solution. But if you want full hardware debug and offline compiling, this may be something to look into. Has the limit of the free version been doubled to 256k now ? Any idea on when these will be available now? you will find how you can use them offline with open source tools. The mbed wiki Cookbook has application code posted for a number of devices and sensors including many of Sparkfun's breakout boards along with several networking examples. You can also use the free demo version of the Keil tools compiler offline for small code examples 32K or less. It even emulates the I/O hardware. See the cookbook section on assembly language for an example. If you were developing a commercial product you could use the full commercial version of Keil Tools. The cloud compiler works well for labs and student projects. Nothing to setup or install other than a virtual com port driver. C/C++ printfs can print to the PC over USB (uses a virtual com port). The mbed I/O APIs are really handy and save a lot of time so a development path that supports them is a plus. gcc4mbed has info on a new way to do this using gcc. There is also a You Tube Channel setup with videos of mbed projects. What is the temperature working range for this board? I would definitely buy breakoutboards to go with the mbed if sparkfun made them and/or sold them. These are $65 CAD on DigiKey with no bulk discount lol. Got one of these coming in my en route SFE order. Can't wait to play with it. I wanted to work with ethernet. Arduino Ethernet shield or Mbed? Definitely Mbed for me. I wanted to try an ARM chip anyway. I think the units are way overpriced. Compared to a Raspberry pi with a bunch more memory and options, but you get the software and community. I want to buy more, but feel like I'm being charged multiple times for the compiler even though I'm a single user. Is there any way at all to compile code for this thing using GCC or a variant, or just some way of not doing it online. I'm sure im not alone by saying that I don't like the way everything is web based now. Ps. Preferably GCC or whatever on Linux? Yes, now you have it, see my post below. Will any kind of DIP 40p socket fit this unit? Mbed has had a number of improvements as of late. You can use the tools offline if you want, but the online tools work fine. New targets and most of the Arduino shields work with the Freescale and ST boards, which are very cheap. Bluetooth LE and IoT support. Our experience with the mBed platform has been quite positive. I know that many of the reviews here are quite bad because of the offline access issues of the IDE. However, I want to note that the strengths of this platform are incredibly POSITIVE and should be emulated by the Arduino community as an example of how to do cloud compiling right. The IDE is in the cloud so setup involves registration with the website. Demos on the website have a one button install feature that puts the code directly into your online IDE. Code version management is done with mandatory mercurially SVC, built into the product. It works SEEMLESSLY! Multiple people can work on the same project and commit their changes incrementally. The low level API is real C++ environment and doesn't have any of the idiosynchriocies of Arduino's IDE messed up C++ environment involving header inclusion, object file linking issues, and global library issues. The API includes THREADING support out of the box and so far has a nice and clean object oriented approach. My experience with this platform was to make a quality assurance machine that would test the assembly of panels of electronics for our product, Zackees Turn Signal Gloves, and report which PCBA were failing. We have been extremely happy with the environment and we recommend that anyone who is looking for a really well functioning and integrated environment to get the job done give this platform a try. 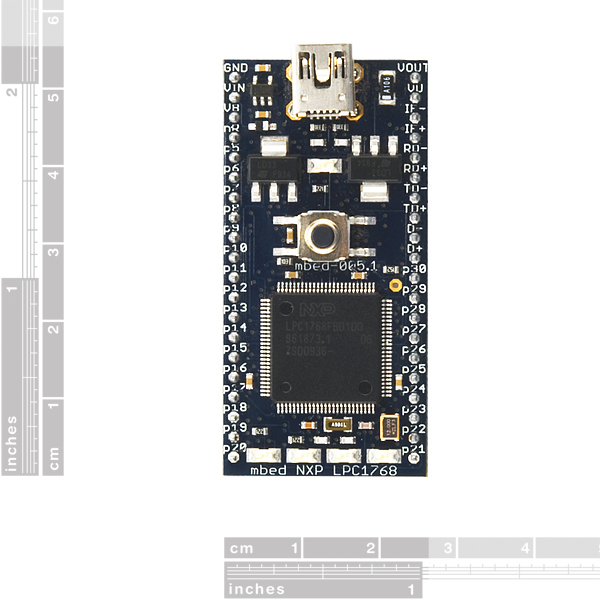 In closing, I'd like to say that the learning curve for the mBed platform was on par with the Arduino setup, but has better developer scalability as the project grows. Why do people dislike thinks they cant understand?--- Answer; Fear. 1. Get an mbed. Go to the LPCXpresso IDE page, and register an account. Once that is done, download the appropriate version of the IDE for your platform. Install the IDE. During setup, you might be asked if you want to install the Debug drivers and the NXP-link drivers. These are completely un-necessary if you are going to be using this IDE strictly for the mbed. 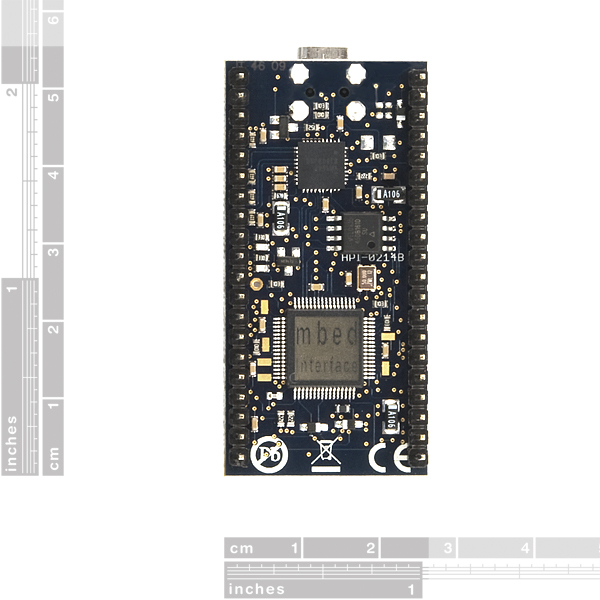 The mbed unfortunately cannot be debugged, nor can the chip be completely reflashed, as the mbed module lacks the JTAG breakouts. Once installed, run the IDE. To stop the annoying nag message, you should activate your product (itâs free). To do this, go to Help>Product Activation>Create Serial number and Activate. This will give you a serial number. On the LPCXpresso IDE site, you can click My Registrations, and enter this serial number. Once you do that, check your email. You will have received an activation code. Go to Help>Product Activation>Enter Activation Code and paste in the code emailed to you. This will register your IDE. Again, this step is optional, but it prevents a nag-box from appearing every time you open the IDE. Can this easily interface with IÂ²S audio CODECs and use its single-cycle MAC to do basic DSP processing? If not, what board should I use for that? Does it have the JTAG leads on the header so I can use OpenOCD and a gcc based toolchain with it? I have a hobby project running on ARM7TDMI I'm looking to port to Cortex M, and this looks like a good candidate... But I need access to the JTAG interface. So, I take it the mbed DIP is the development board? And you plug it into the application board (the other mbed product you sell) to get access to the peripherals on the latter? Anybody know the dimensions for this mainly the horizontal pin to pin distance? If you mean the pin to pin distance along the length of the board, then that is 0.1 in. It fits on a breadboard, if that's what you're wanting to do. Hope that answers your question. Update: This issue has been resolved at the mbed forum. Stray resistor got stuck to a solder pad during manufacturing. Not touching anything. The board passed through QA testing, so all good. They suggested I could remove it myself if I wanted. They have a few more options for offline compilers now at http://mbed.org/handbook/Exporting-to-offline-toolchains. New support for hardware breakpoints via the USB cable for debuggers using offline tools just came out. An officially supported networking stack was also recently released. I've had one of these for a while. It's easy to underestimate exactly how powerful this thing is. The huge amount of flash means you can put a lot of code into it. The RAM is comparitively small, especially since the online compiler reserves 32K(half) of it for peripherals. However, it's completely possible to generate monochrome VGA signals without any components except for a single resistor, and there is still a lot of processing time left over(ie, can't even tell it's displaying things). The community is very good as well. The online compiler I'll admit does have it's quirks, but it's improved a lot since I first got my mbed. The coolest thing about the online compiler is of course that it just works, and also when you find a library, it's a click away to import into your project through their online compiler. They just announced a basic RTOS that works on mbed using the online compiler. Just compiled and ran the demo to blink two LEDs using two threads. You don't have to use it unless you need it. Add the RTOS library to your project and one include line in your C/C++ to use it. ...and semaphores, mutexes, etc. It actually looks like a very complete little RTOS, and could be very useful since real-time programming is the key to many complex application domains. Neat! Thanks #226770 for the heads-up! I was only using the queue functionality at the time. It also felt a little odd giving up so much control on such a resource constrained system. Mbed has a great support community and well documented devices.its reliable and easy to use. Would definitely recommend! The online IDE is frustrating, and programming for the device outside the IDE and uploading it is a chore. It's also extremely difficult to get the C support working; all of the headers are provided for C++, and you're left to your own devices to figure out how to interface with the device in C.
I built the sample blinking LED test program with their web-based compiler, and it was running in no time! I also got the LSM9DS1 IMU breakout board from SF. I got the two boards talking over I2C after borrowing some library I found on the mbed web site (in their repository). I'm sure this board has a lot of potential in terms of working on fun embedded projects. Also, it is recommended to update the bootloader on the board to the latest. I'm going to do that eventually, but for now, the stock bootloader is working just fine. BTW, I'm running Windows 7, and the USB driver mbed provides for printing to the serial console using printf statements works great. I'm not sure, however, if it will work under Windows 10. I've seen questions about it on mbed forums, but no definitive answers. That's something I'd like to see addressed in other reviews here. For quick and dirty prototypes this is fantastic and supported well on Windows Mac and Gnu-Linux. Online IDE is pretty cool, but you can also build the code locally if you've got a poor internet connection. Love the mbed drag and drop programming and plastic pin-out reference guide. Nice prototyping board for this chip series with reasonable peripheral access. Simple to program and quick to change. I love this mbed! I built an alarm clock and it works really great! Thanks Sparkfun!